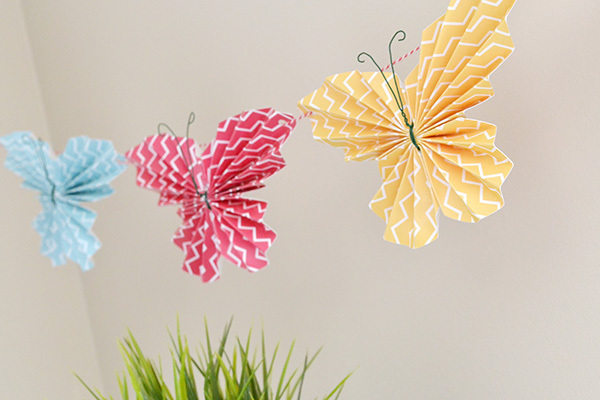 My obsession with folded paper projects is no secret. 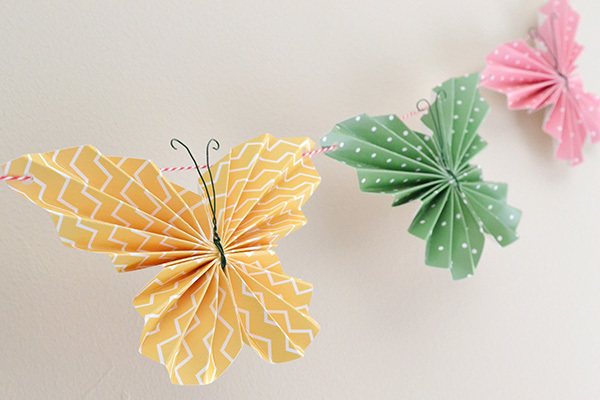 I’ve shared a folded leaf garland, folded paper hearts, and a folded Easter egg frame. I just love the dimension and texture of paper folding. So, what’s next? 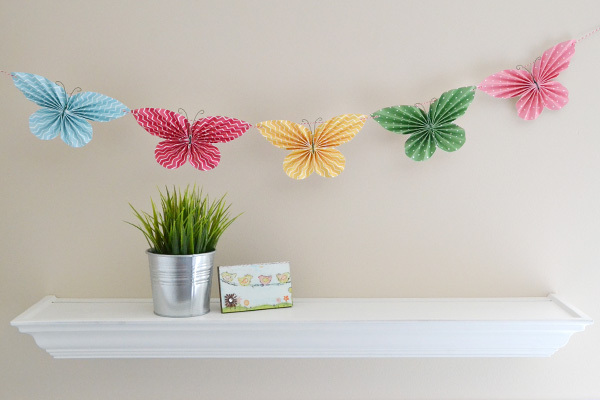 Today I’m sharing a folded butterfly garland–a wonderful project for spring! 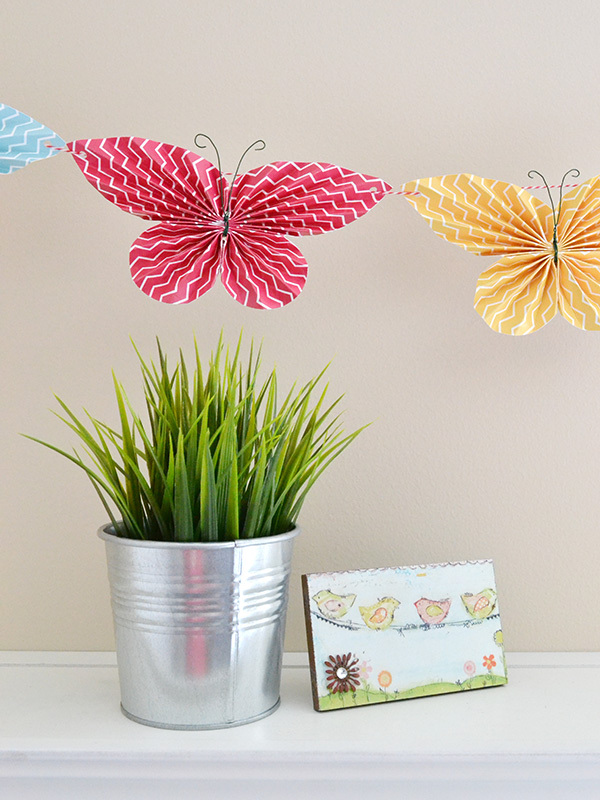 It’s easy to create folded butterflies in any size for any project. 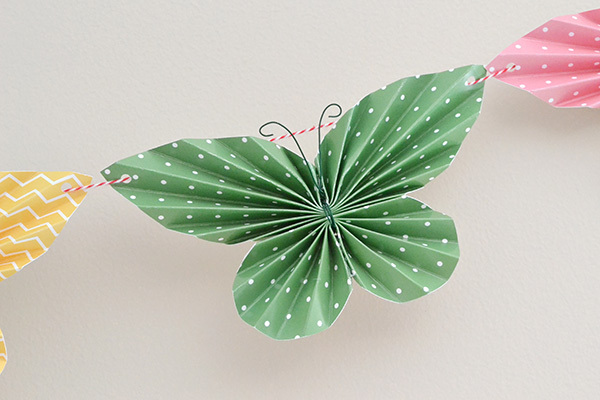 If you’d like to learn how to create folded butterflies like I did for this project, visit the We R Memory Keepers blog HERE for full instructions and supplies. I punched holes in the wings of my butterflies and strung them together on a length of twine to make a garland, but you could use these for gift packaging, altered frames, cards, or other dimensional projects. Happy spring! Well, I love yours! I used paper that was too heavy and some of my creases started to rip and you can see the white from the other side. Fixed this with some chalk. I discovered that my score board wells are not deep enough for heavy paper. I had to work really hard to crease and had to be very conscious to keep the bone folder in the correct lane. Even with thinner paper, I was not able to stay in the right lane. I definitely will get a new score board. Do you have a favorite? Thank you! Sorry you had a hard time with the scoring. I've had the same problem with really thick cardstock as well. My favorite is the We R Memory Keepers Trim and Score Board, but I have a lot of crafty friends that love their Scor-Pals. Thanks, Ali! I'll check them out. Have a great day!